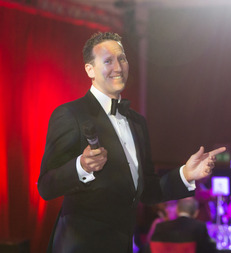 Producer, entertainer and former Strictly Come Dancing pro Brendan Cole, revealed the 16 winners of the 2018 Plastics Industry Awards (PIAs) in glittering style at the London Hilton on Park Lane. Award-winning product designs included a recycled flat-profile wine bottle commissioned by Garçon Wines for the mail order market. Produced by RPC M&H Plastics from 100% recycled PET, the bottles fit through a letterbox and can be recycled to produce further bottles, closing the plastics loop. Consumer Product Design of the Year was The FlipPad, a medical-grade case for the iPad designed by FutureNova. Its wipe-clean design is built to withstand harsh infection control chemicals, whilst the touch-sensitive screen allows staff to control the iPad even when wearing surgical gloves. Another innovation for the healthcare market – a unique haemodialysis system designed by Smallfry Industrial Design & Innovation Strategy in consultation with patient user groups– won Industrial Product Design of the Year. Brunel University student Sam Gutheridge, who designed an Intelligent Clinical Observation System which could save the NHS time, money and lives, was named Young Designer of the Year, and received a £1,000 prize courtesy of sponsor Motan. The hotly contested and prestigious Processor of the Year Award went to Rosti Automotive Larkhall. Several categories acknowledged the personal contributions that play an important part in the success of the UK plastics industry. The Unsung Hero Award went to unassuming mechanic Derek Bennett of Plastek UK, described by colleagues as “an ideal mentor for new engineers” and the “go-to man for maintenance task throughout the plant.” Another Plastek UK employee, Luke Peters, was named Apprentice of the Year and presented with a cheque for £500 from the PMMDA. He impressed the judges with his “combination of drive, determination, achievement and sense of responsibility.” Ambassador of the Year was Graeme Herlihy, Regional President West Europe, Engel. Plastic container manufacturer MGB Plastics won Best Energy or Environmental Programme of the Year, having recently received certification from the Carbon Trust for ‘Zero Waste to Landfill’. Not only does the company manufacture wheeled bins from recycled material, it also implements collection schemes to promote recycling and segregation of waste streams at source and recycles redundant containers to make brand new bins. 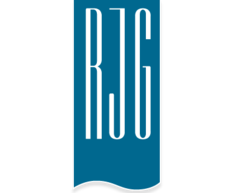 There were eight strong finalists for the Best Business Initiative category, and judges described the winner RJG Technologies as “outstanding”. The Plastics Industry Awards 2018 Winners Brochure can viewed here. Thank you to all who attended the 2018 Plastics Industry Awards! To view the photos from the photo booth, please click HERE. Thank you to our sponsor, Piovan. Recognising and rewarding excellence in the UK plastics industry. See why the PIAs are valued by the Plastics Industry.